The Auggie aqua accent chair offers the simple style of a classic slipper chair, sized perfectly for your child's room. 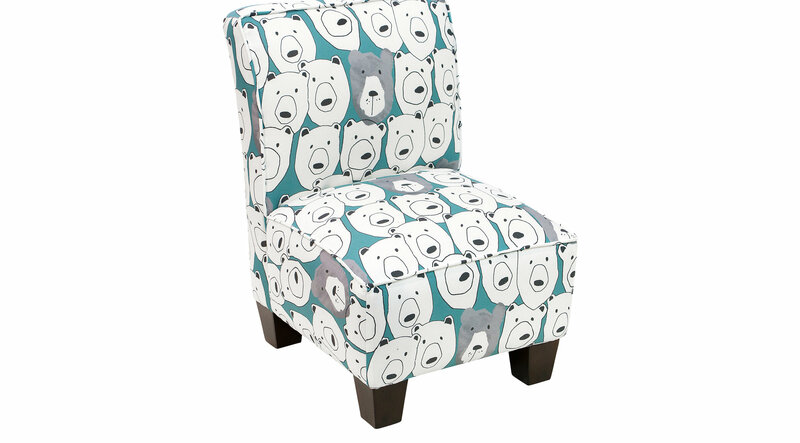 Chic and comfortable, this kids chair is hand-upholstered in a kid-friendly bear print fabric and finished with tapered block legs. Weight limit is 150 lbs.